As a freelance writer, you don't have a boss to answer to every day. There is no one to give you crap if you show up late or spend half the day playing around on Facebook instead of doing something productive. At the same time, there's no one around every day that you're trying to impress. Yes, you might try to impress clients. But they come and go. And they don't exactly care about your business. They care about what you can do for theirs. 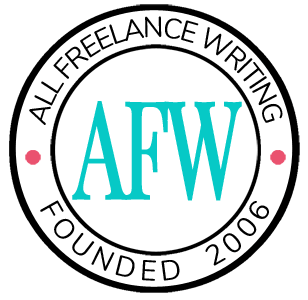 Who's looking out for your freelance writing business? Maybe it's time you had a boss to answer to. And there's no one better suited for that job than you. So for this week's "quick tip:" think like a boss! 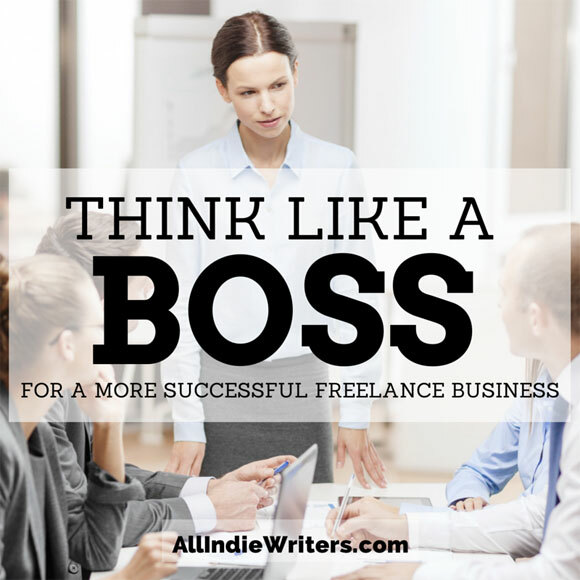 Thinking like a boss rather than just someone who works for others can be the key to building a more successful freelance writing business. Let's look at some of the ways you can act more like a boss and keep yourself, and your career path, on track. Your freelance writing business might as well not exist if you don't have goals. In business you have to always be working toward something, even if that's just a specific income target for the year. Go further than your big, long-term goals. Consider setting milestones as well. For example, you might have monthly milestones when working toward your yearly income goal. If you don't reach them, it's time to re-evaluate things and figure out how to make up for lost time. Along those lines, set deadlines for achieving your goals. If a boss assigns you a project, they probably also tell you when they want that project delivered. Act like a boss. Don't wait around on clients to set deadlines for you. Set them yourself too. You might set stricter deadlines than what a client demands so you can deliver early and impress that client. Or you can set deadlines on work for your own business such as redesigning your website, updating your LinkedIn profile, posting to your blog, sending queries for the month, or drafting a new case study or other marketing material. This is one of my own problem areas. I keep a master to-do list with tasks, big and small. I don't expect to finish the entire list. It's always changing and expanding. But the other day I was looking it over and realized that I screwed up somewhere along the line. I was letting even small tasks slip from one week to the next. They weren't terribly important tasks -- nothing that would make or break the business this week. Regardless, they needed to be done. I was looking through the list and I kept asking myself "why didn't I do this?" Task A would only take about 20 minutes. Task B would have taken even less time than that. And sure, Task C might need about two hours, but it's been weighing on me for weeks. What are two hours in the scope of several weeks? Practically nothing. All of these things could have been finished and checked off my list. But they kept getting sidelined for other things. Why? Because they never felt urgent. I never gave myself a deadline. That needs to change. I already get a tiny bit of grief (and plenty of curiosity) when I post my massive master lists over in the About Writing Squared community (I do that there in an accountability thread because it's a bit more private than posting it in the community here). What I'm planning to do this week is take that list offline and make it even longer. I'm going to break down every task into bite-sized pieces -- things I can do in no more than a couple of hours. And then I'm going to give most, if not all, of those mini-tasks a deadline. My hope is that the combination of a deadline and knowing that everything in the list can be knocked out in one sitting will get me back on track with a few of the bigger projects. Another way you can think more like a boss is to create a strict work schedule and stick to it. That doesn't have to mean a 9-to-5 schedule. Pretend you're applying for a new job, and your potential employer is open to negotiation on your schedule. What hours would work best for you? You can work around your kids' schedule. You can work around your most productive hours. You decide. But decide. It's easier to stay on course when you know what you'll be doing, and when, each day. Write it on your calendar. Pretend you have to clock in. If your schedule says it's time to work, then get to work as if you had a boss waiting to reprimand you if you showed up late. An employer would treat your work schedule seriously, and as a freelance writer it can help if you do too. When you work for a traditional boss, they'll usually keep track of your working hours. Consider doing the same for yourself. You'll identify trends like when you tend to slack off (if ever) and when you're pushing yourself too hard with overtime. You can track your time with a simple timesheet, or use an app like RescueTime which will track specific tasks (such as how much time you really spend on social networks or visiting non-work sites during working hours). Well, you can't hold meetings in a traditional sense because as a freelance writer, it's just you. But still, consider scheduling some time alone with yourself to "discuss" progress on current projects and what's coming up. I like to treat these as planning sessions, and I hold at least one each week, usually on Thursdays (my main administrative day). It's when I hash out next week's work plan / to do list, and it's when I evaluate and re-prioritize projects if necessary. A boss is going to look for results from their employees. Are admin workers getting tasks completed in a timely manner? Are members of the sales team converting enough leads? Is the marketing department bringing in enough leads? Employees have to continually earn their keep. And they do that by achieving measurable successes tied to their goals. Are you not seeing the results you'd like? Don't be afraid to "fire" yourself from job roles you aren't a great fit for. You can't always do everything yourself -- at least not well. Along those lines, learn how to delegate. Sharing responsibilities is a key element of growing a freelance business. Sometimes that means delegating work responsibilities like hiring a Web designer or bringing on a virtual assistant. And sometimes it means delegating personal responsibilities so you can make more time for your business. For example, you might hire a babysitter or nanny to watch the kids for a few hours each day. You might have a house cleaner come in once a week or get your spouse to help out more around the house. Think about how much you earn per hour worked. If you can hire someone for less than that and put that extra time into your business, then you come out ahead financially. Asking for help often makes the most sense. In his full-time job, my husband has to go through yearly evaluations with his supervisor. But in addition to being critiqued by his boss, he's required to do a self-evaluation. It forces him, as an employee, to take a hard look at how he's progressed over the last year and to give feedback on where he'd like to improve (and how the company can help). As freelance writers, self-evaluations can be even more important. We don't have a boss or supervisor to give their feedback. It all falls on us. A self-evaluation forces us to look at our weaknesses and figure out how we can improve. Ignoring them won't make them go away. When conducting a self-evaluation, it's important to detach yourself in order to stay objective. Pretend the evaluation is for someone else. You can even give this imaginary employee a name if it helps. If this other person did everything you did in the last several months to a year, would you be happy about it? Would you have had higher expectations? Would you honestly want to keep this person on? Be brutally honest here. No one has to see this evaluation but you. My suggestion? Conduct a self-evaluation at least twice every year. In what ways do you think like a boss when running your freelance writing business? How has it helped you? And where would you still like to improve? Leave a comment and tell me about it. Great advice, Jenn. I love the idea of doing evaluations every few months. I know I get into bad habits, and could be working more productively. Have to decide if I can take the plunge with both feet or keep testing the waters. This is a great motivation and test to see if you are really serious or just playing a game with your hobby. I couldn’t agree more! I believe in sticking with a schedule you can manage. I find that if I keep a consistent schedule every day I am much more productive. I also feel having a clean work space, for me, is a requirement before I can even begin to write. I am still very new to freelance writing full time. I am learning a lot about branding and pitching and how to be a successful freelancer. Thanks for this site! And I agree. I’m much more productive when my work environment is clean, or at least not overly-cluttered. I try to set aside some time once a week for a deeper cleaning, but organize my desk every morning before I start. But your tip is a great one. Thanks for outlining HOW to think like a boss. No wonder the updated list you shared on the Five Buck Forum the other day led me to ask how many years it covered! I guess I have trouble with long-range planning. In high school I never applied to colleges or took the ACTs (thanks to a lousy counselor who probably assumed I wouldn’t go to college because I was from a single-parent family & dad lost his job in a recession). I went to a community college and figured things out as I went along. I graduated college without a job lined up and fell directly into freelancing. Planning more than a month or two ahead is difficult for me, which makes your accountability thread all the more impressive. I used to be much less focused on planning. But I’d go batty if I didn’t have a solid long-term plan now. I have more immediate lists planned out too. But if I don’t see the end game in what I’m doing today, nothing’s going to get done. If there’s no end goal, it’s almost impossible to reach the best possible outcome. This article is a great read. I knew you have to do planning and stuff, but it never occurred to me to treat my business like I was the boss and employee. It makes sense though.